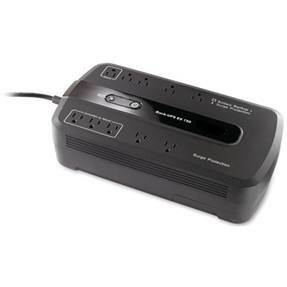 PS502-750g has 10 outlets. 5 of them are battery backed UPS. The other 5 are surge suppressed. 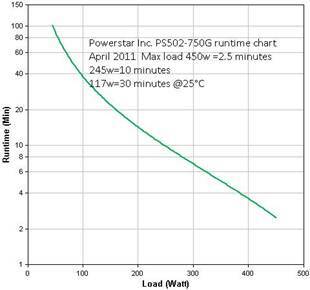 Add to this one of our optional Premium Long Life (up to 10 years), high temperature (+50°C steady state) batteries and you will have a nice long life on that shipboard PC or computer or any electronic gear. We deliver in less than 30 days from our East coast factory. · Field shipboard proven, reliable, small modular design, delta power for shipboard use, dual breaker for shipboard usage. · Dimensions 3.5” h x 7.1”w x 13.5”d – Weight=10.5Lb. - Shipping weight=13Lb. · Audible Alarms for "On Battery", "Low Battery- replace" and a continuous tone "Overload"
· Why buy a surge suppressor when you can get a UPS?